Sensitive Choice® is a programme run by the Asthma Foundation of New Zealand to help asthma and allergy sufferers make better lifestyle choices that may help them manage their condition more effectively. The programme is focused on companies that are committed to reducing asthma and allergy triggers. Products are reviewed through the Asthma Foundation formal review process in conjunction with the National Asthma Council. If accepted, the butterfly symbol is awarded. You will see the butterfly appearing in retail outlets and online. Over 600,000 kiwis and even more Australians are affected by asthma so even if you don’t suffer from asthma, chances are you know someone who does. The key to living with asthma and allergies is having good self-management of the condition, so that it doesn’t impact on quality of life. Do I know my triggers? Am I taking steps to reduce my exposure to my triggers? Have I had an asthma and allergy review with my doctor recently? Do I follow my asthma or allergy action plan? 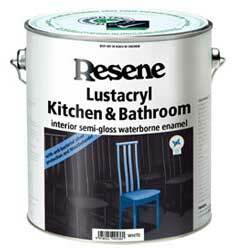 Resene Lustacryl Kitchen & Bathroom and Resene SpaceCote Low Sheen Kitchen & Bathroom are both Sensitive Choice® approved. Both products contain anti-bacterial silver and MoulDefender to help protect against moss and mould growth. 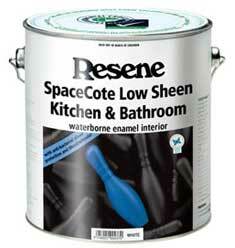 They are ideal for wet areas such as bathrooms, kitchens and laundries. 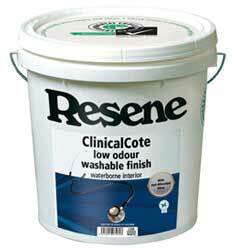 Resene Clinicalcote is also Sensitive Choice® approved. It is formulated with anti-bacterial silver and designed for easy cleanability in areas such as rest homes, hospitals and medical centres. It can also be used on general wall areas in homes, offices and businesses. The Asthma Foundation runs the annual Balloon Day appeal to help raise funds to enable it to undertake its work. Click here to find out more about Balloon Day and more statistics on asthma. Click here to visit the Asthma Foundation website.